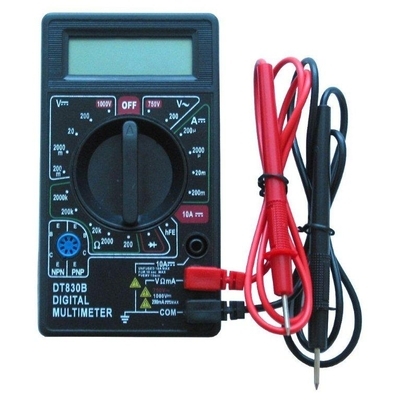 DT830B Digital multimeter: for testing the restance of heating cables and mats during and after installation. Supplied without battery and instructions. Many uses around the home and garden such as checking fuses and electrical circuits. Great for testing underfloor heating connections. Please note this does not come with batteries.